Geography: Located in the Central Highlands region, Lam Dong is a mountainous province, and 70% of its area is covered in forest. To the north, it borders on Dak Lak and Dak Nong provinces, to the south-east, on Khanh Hoa, Ninh Thuan and Binh Thuan provinces, and to the west, on Binh Phuoc and Dong Nai provinces. Road: Dalat is 110km from Phan Rang (Ninh Thuan), 200km from Buon Ma Thuot (Dak Lak), 205km from Nha Trang (Khanh Hoa), 293km from Ho Chi Minh City, and 1,481km from Hanoi. Airlines: Lien Khuong Airport is 30km south of Dalat. There are daily flights to Ho Chi Minh City and Hanoi, and two flights a week to Danang. Located near Xuan Huong Lake in Dalat, the city of flowers and dreaming where it was once called Le Petit Paris. With all kind of local flowers inside, good & friendly service, elegantly rooms fully equipped with facilities and amenities. Resort Hoang Anh - Da Lat offers the cozy atmosphere suitable for all kind of guests. 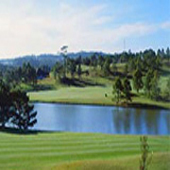 The Golf 3 Hotel has 78 guest rooms and a restaurant serving European and Asian dishes. Other facilities include a sky view bar and dancing hall. 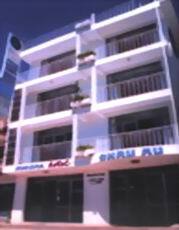 - Located the center of the city, Thanh The hotel is an attractive and convenient place for tourists in Dalat. 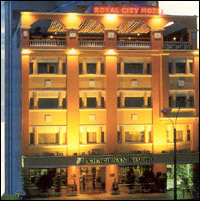 - Situated in the heart of Lam Dong province, and equipped with all modern facilities in each bedroom. nn- Situatedd in the heart of Lam Dong province, and equied with all mordern facilities in each bedroom.